To protect a site for research on sub-boreal forest types on a poor site, adjacent bogland, and intermediate vegetation types. Physical: The reserve is located on a flat outwash plain about 15 km west of the Parsnip Reach of Williston Lake. It encompasses the southern end of a huge treeless bog which stretches to the north, parallel to Blackwater Creek. Low hills rise to the east, between the reserve and Williston Lake, and the higher Omineca Mountains are to the west. While part of the reserve is boggy, drainage is unorganized and no streams or lakes are present. Soils vary from Organic to Podzolic in nature and are developed on extensive glacial outwash. Biological: The reserve contains extensive, dense, coniferous forest stands, open bogland, and transitional areas in which tree islands give a parkland appearance. About 20% of the area, located in the central and northern part of the reserve, is bogland. Upland forests may be dominated by lodgepole pine, white spruce, or black spruce, but some trembling aspen and balsam poplar are also present. Pine stands have an understory dominated by dwarf blueberry, kinnikinnick, lichens, and mosses. In white spruce woodlands, black huckleberry and mosses are typical, while black spruce stands are characterized by bunchberry and mosses. A bog forest type, transitional between upland forest and treeless bogs, consists of black spruce, scrub birch, and several mosses including sphagnum. These treeless bog communities have been described, all dominated by scrub birch and mosses, including both sphagnum and other types of moss. 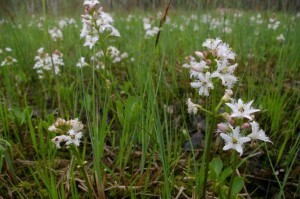 Bog cranberry is co-dominant with scrub birch in some locations. Wettest areas in the bogs are characterized by a buckbean-marsh cinquefoil-swamp horsetail association. Many other plants are present. The fauna has not been surveyed, but is not expected to be diverse. THREATS: Climate Change: Researchers have projected the transformation of Sub-boreal Spruce forests to those more typical in Southern British Columbia in the coming years. Warmer temperatures and changed hydrology due to glacial retreat and altered precipitation may impact the productivity of the vegetation in this reserve, possibly decreasing the biodiversity that is already limited in this area. The large bog lands may dry up, depending on the changes in hydrology and extremes of warming, resulting in habitat loss for associated flora and fauna. Access: Legitimate road in use posing the threat of harvest trespass within the reserve. Some trespass has already occurred. 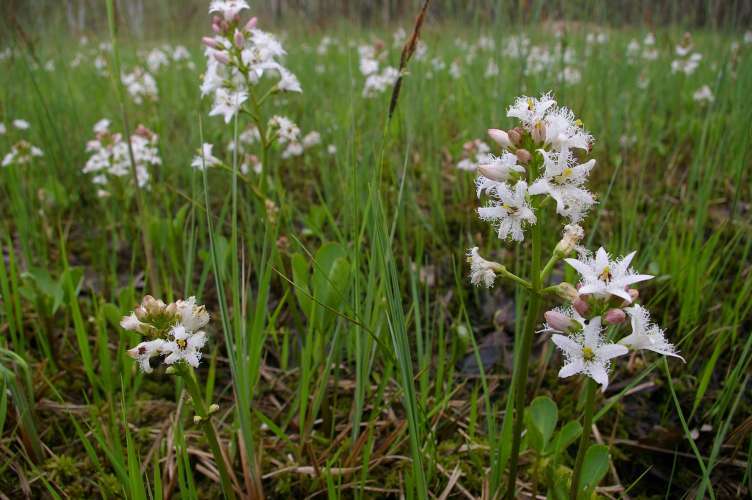 RESEARCH OPPORTUNITIES: This is a good site for investigating the impacts of climate change on hydrology and ecological communities in a sub-boreal bogland.